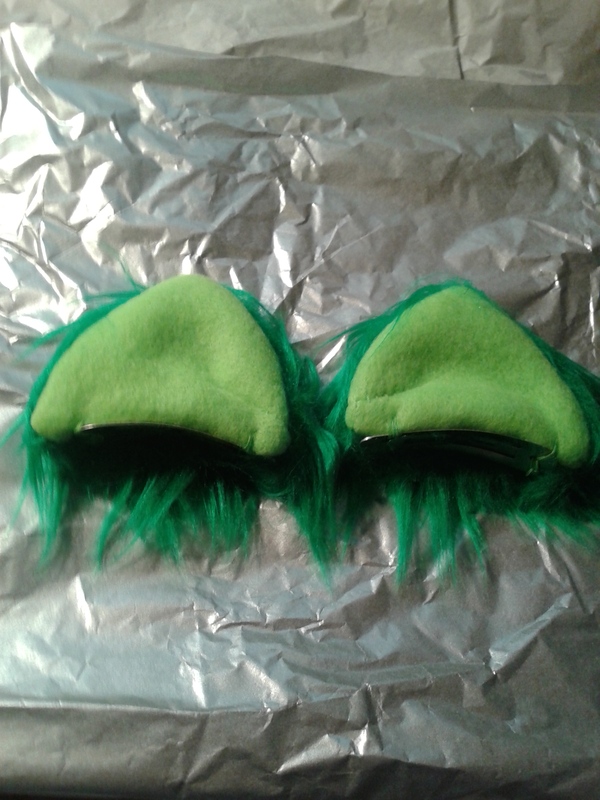 Green Monster Fur Clip In Kitty Ears from The Mewtique | The Arcade Archives! Looking to add a little something to your outfit or cosplay? These awesome Kitty Ears from The Mewtique are just the thing you need. I love the color of these ears the two shades of green compliment each other. 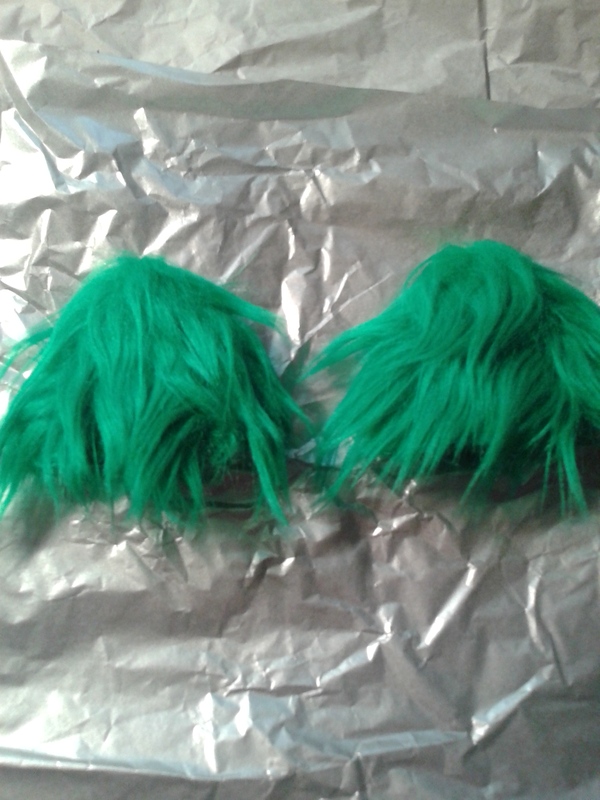 As you see on the back side of the ears you have this wonderful green fake fur. They are a soft fur that is a high quality fur not a cheap rough fur. the stitching is also very strong. I think the sizing is perfect as well. You don’t have huge over sized kitty ears on your head but ones that are the size they would be if they were really yours. 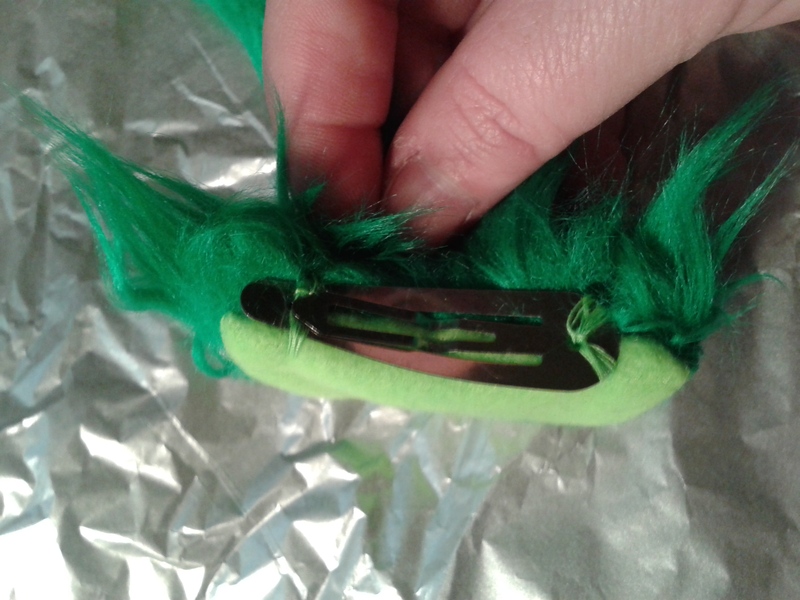 The clips that are on them are great ones they hold the ears into place with out any slippage even with my thin hair. I think that is one of the most important things. I also made a point of dancing around in them to see if they fell out. 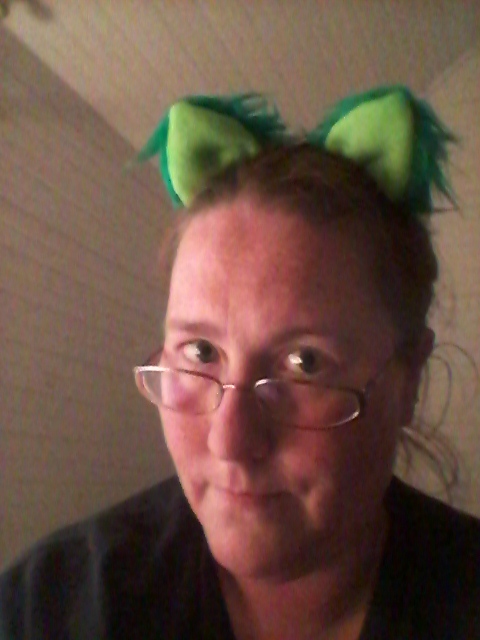 They didn’t so if you wear them to an after con party, you can party all night with out losing your ears. As you can see they look great on! Well the ears look great, I how ever look hot and tired! But non of that matters! What matters is bringing you awesome products! The Mewique has a variety of wonderful ears and tails for you to choose from.